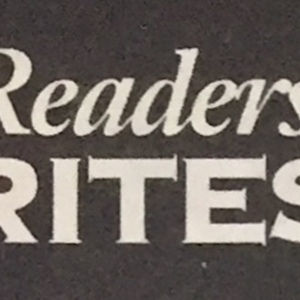 Heading for the letters to the editor section. 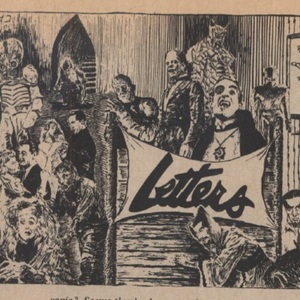 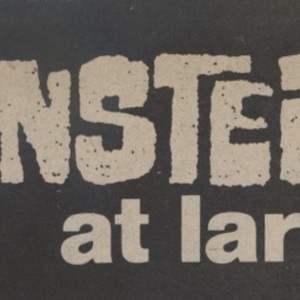 Generic heading used for "Letters" in between "Ghostal Mail" and "Castle Mail Box"
Back cover of the 87th issue of The Strand Magazine. 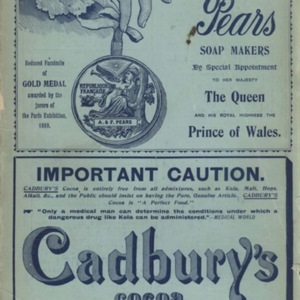 Shows two half-page advertisements for Pears (soap) and Cadburry's Cocoa. 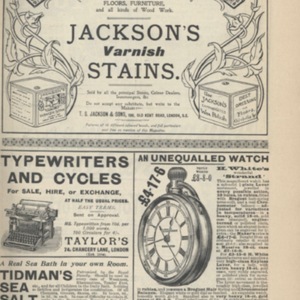 A selection of nine small advertisements from issue 87 of The Strand Magazine, page xxvii. 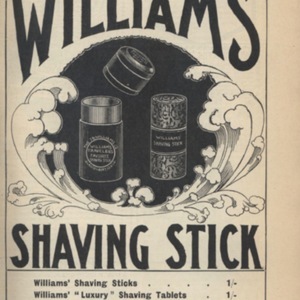 A full-page advertisement for William's Shaving Stick from issue 87 of The Strand Magazine, page xxv. 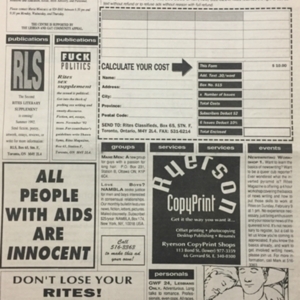 A selection of five advertisements from issue 87 of The Strand Magazine, page xxi. 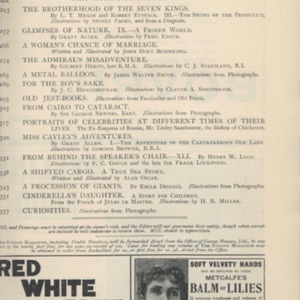 A selection of five advertisements from issue 87 of The Strand Magazine, page xv. 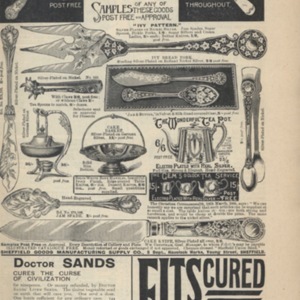 A selection of six advertisements from issue 87 of The Strand Magazine, page xliv. 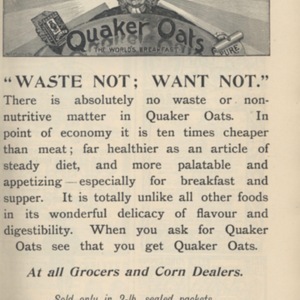 A full-page advertisement for Quaker Oats from issue 87 of The Strand Magazine, page xiv. 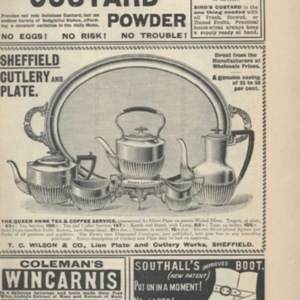 A selection of four advertisements from issue 87 of The Strand Magazine, page xiii. 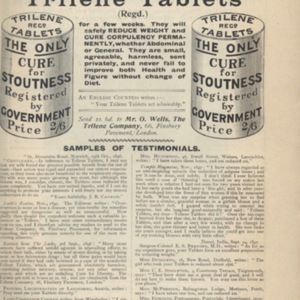 A full-page advertisement for Trilene Tablets from issue 87 of The Strand Magazine, page ix. 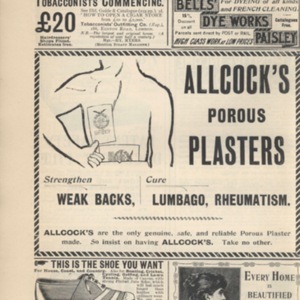 A selection of advertisements from issue 87 of The Strand Magazine, page iii. 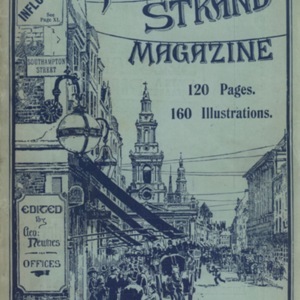 Front cover of the 87th issue of The Strand Magazine. 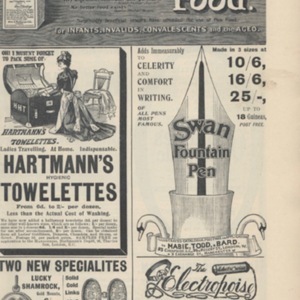 Contents of the 87th issue of The Strand Magazine. 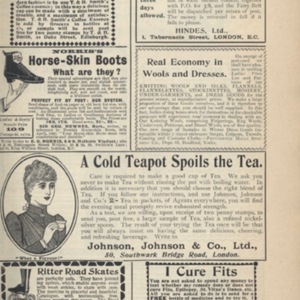 Shows two advertisements at the bottom of the page. 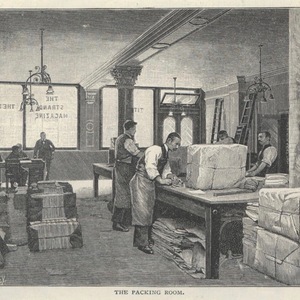 The Strand Magazine, volume four, "The Packing Room" from "A Description of the Offices of The Strand Magazine"
Image "The Packing Room" from "A Description of the Offices of The Strand Magazine" in the fourth volume of The Strand Magazine, page 605. 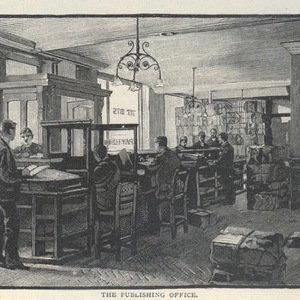 The Strand Magazine, volume four, "The Publishing Office" from "A Description of the Offices of The Strand Magazine"
Image "The Publishing Office" from "A Description of the Offices of The Strand Magazine" in the fourth volume of The Strand Magazine, page 606. 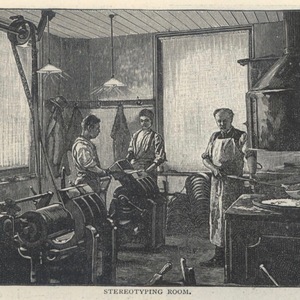 The Strand Magazine, volume four, "Stereotyping Room" from "A Description of the Offices of The Strand Magazine"
Image "Stereotyping Room" from "A Description of the Offices of The Strand Magazine" in the fourth volume of The Strand Magazine, page 601. 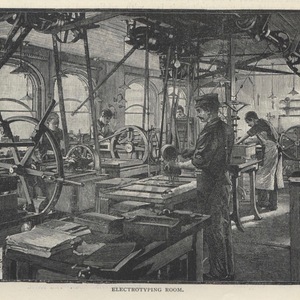 The Strand Magazine, volume four, "Electrotyping Room" from "A Description of the Offices of The Strand Magazine"
Image "Electrotyping Room" from "A Description of the Offices of The Strand Magazine" in the fourth volume of The Strand Magazine, page 601.